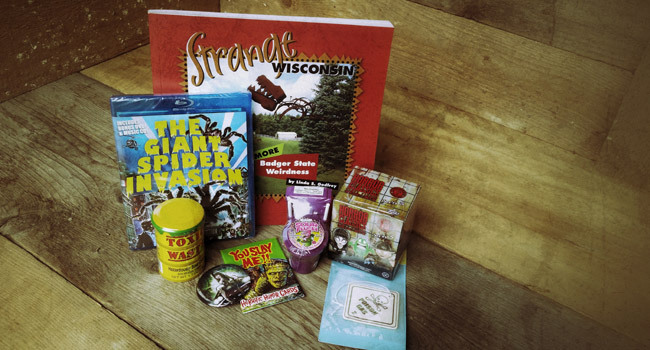 Welcome to the first ever Wisconsin Frights Halloween giveaway! To celebrate the thinning of the veil, we’ve decided to forgo the usual human sacrifice in exchange for a different kind of offering. 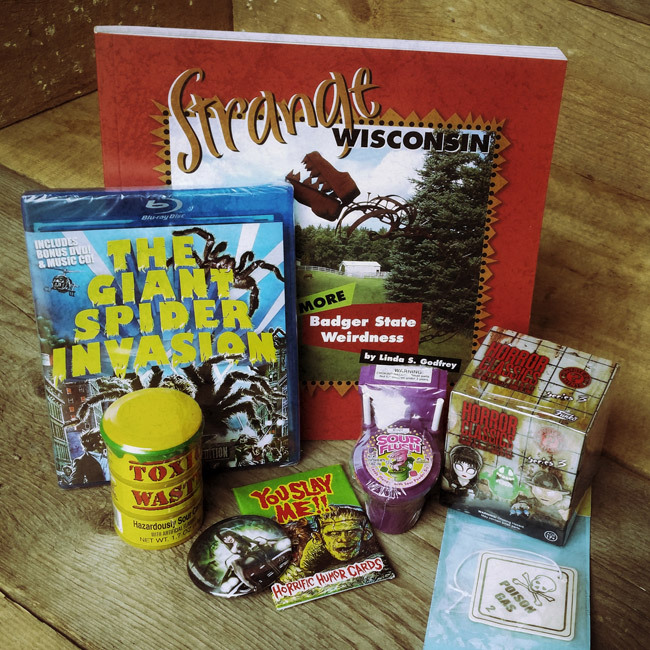 One lucky fiend will win a FRIGHT BOX full of gratuitiously ghoulish goodies like a copy of the hilariously bad (but awesome) 1975 Wisconsin-made horror flick The Giant Spider Invasion, a copy of the book Strange Wisconsin, Toxic Waste candy, and more. There are multiple ways to enter, including some things you can do daily for additional entries. Get as many entries as you can between now and October 22. The winner will be announced on October 23! And don’t forget to tell your friends, so if you lose…maybe they’ll share with you.